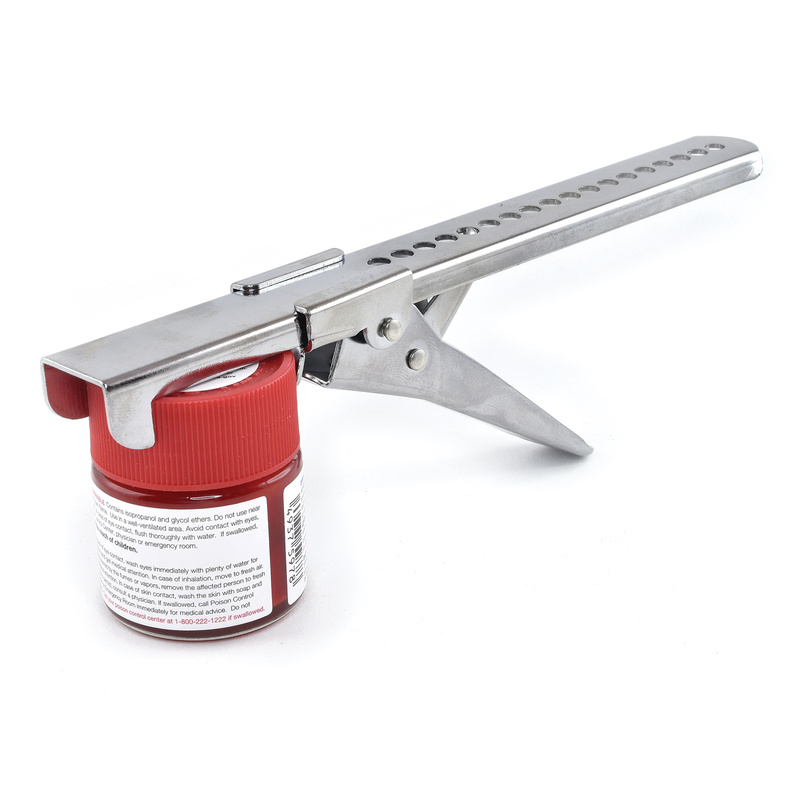 Adjustable jar opener removes caps from all sizes of paint jars in seconds. Also removes snap on caps, soda bottle caps, vacuum caps, jar covers, soft-drink tabs and other screw on caps up to 5 inches dia. Made of chrome-plated steel. Buy one for the shop and one for the kitchen.